We are The New York Serenaders and we sing Doo Wop music. Though we’ve been together for approximately 6 years we’ve seen some changes and transformations. We met in Washington Square Park as a random group of guys that found themselves, like so many others in that great gathering place, sitting in on sing-a-longs in the warm middle months. To make a long story short through many a trial-and-error (and success) we formed The New York Serenaders. To a member we are committed to preserving the music known as Doo Wop for as long as we can carry a tune. 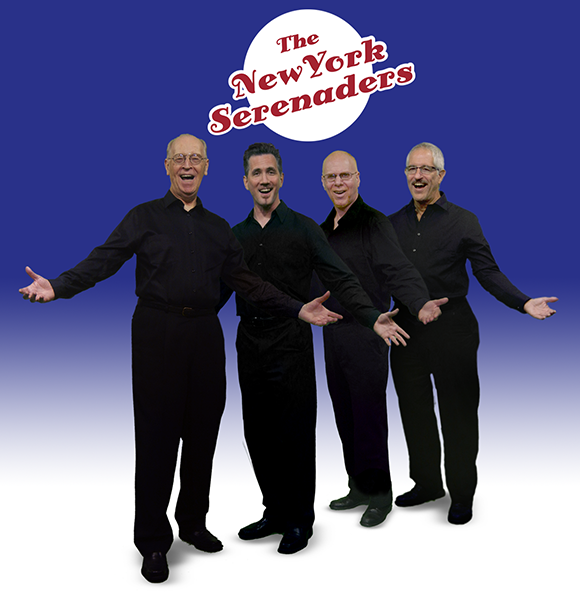 The New York Serenaders have been gaining in popularity in the last few seasons and have had the honor of entertaining private parties and community events. So if you’ve got nothing to do on a Sunday afternoon Doo Wop on by Washington Square Park, Madison Square Park or The Baruch College Promenade on 25th & 3rd in New York City and catch a free performance. See if we know your favorite oldie. We would love to serenade you. There’s a lot of good stuff coming to this website such as member bios, links and a calendar of shows.